Last month I spent an awesome eight days in Temuco, Chile. 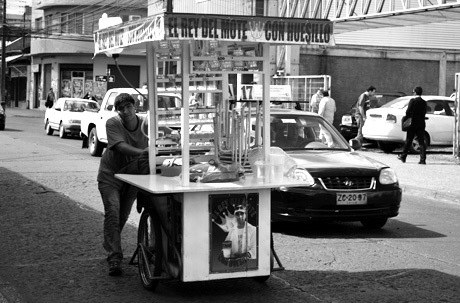 The streets were alive with so many interesting people and activities, including this ambitious street vendor. Treasures are found in the most unlikely places, including this goldmine of photography by Vivian Maier. An amateur photographer throughout the 1950-1990s, Maier shot thousands of Chicago street scenes that now receive critical acclaim. Creatives traditionally lack confidence in their own work. This may or may not have been true for Maier, who is described as a “keep your distance from me” kind of person in research done by John Maloof. Maier’s photography attests to her creative mind and ability to see art in every day life. Here are great tips for boosting your own creativity.